Junior Sam Woiteshek is back and better than ever in his second year on staff, serving as the Blade’s co-sports editor this time around. As a lifelong sports fan, Sam loves following the Michigan Wolverines and the Green Bay Packers, as well as the Chicago Blackhawks and the Grand Haven Buccaneers. In the summers, Sam can often be found out on a golf course, as he is an avid golfer and is on the Bucs golf team. 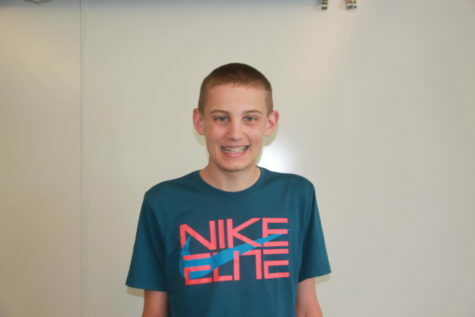 Sam also enjoys duck hunting, fantasy football, and hanging out with family and friends. He is a master of word-searches and most likely can win in a game of chess. He also prides himself on his pizza-eating abilities and his talent of cooking Ramen noodles. Sam is excited to partake in leading the sports team this year, hopefully to the journalism equivalent of a Super Bowl. He is also eager to share some of his sports wisdom with the students of GHHS and will continue to deliver award-winning columns to his readers.